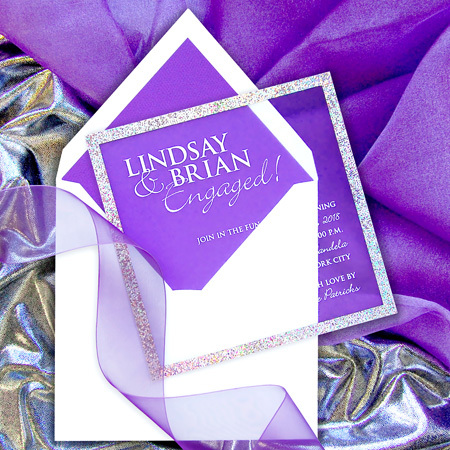 A sparkle foiled border and creative type layout are featured on “ice” for this engaging invitation. D-grape lines the white linen envelope. “Ice” invitations come in a choice of 10 designer colors on translucent plastic.